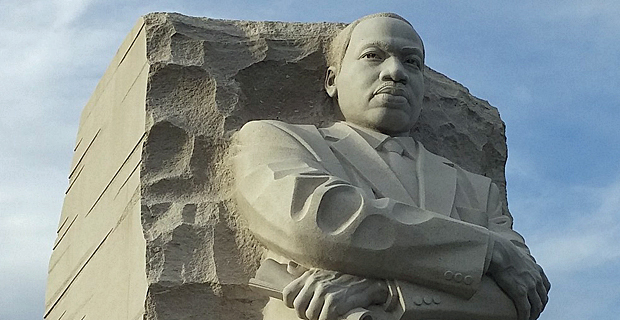 Celebrate the Life and Legacy of Martin Luther King Jr.
Did you know? In 1994, Congress also designated this day to be the MLK Day of Service. Dr. King was a key figure in the Civil Rights Movement and an advocate of community service. He believed in a nation of freedom and justice for all. Why not introduce your kids to a Day of Service where they can volunteer and give back to the community, no matter how big or small the effort. For an educational experience, bring your children to the museums, many have exhibits on Dr. King. For an outdoor nature experience, visit the National Parks, free admission on Martin Luther King Day! NJPAC's Annual celebration of the life and legacy of Dr. King. Gospel artists Mary Mary and Tasha Cobbs performing. Ceremony honoring the life of Dr. King. Soul Food Dinner to follow. On MLK Day, spend a day of service by giving back to Nature. Learn how humans impact Earth and how we can protect wildlife. Hands on project and outdoor learning. Celebrate Martin Luther King Jr. Day by making a peace wreath. Taking inspiration from the Civil Rights Movement through today, create your own poster to inspire change for an issue that you wish to see improve. Geared towards families with children ages 6-12 and includes a snack. Also see new exhibit: King in New York (Jan 13-June 1, 2018). Day long commemoration at National Constitution Center. School age activities include book and school supplies drive, Musical Performance related to Dr. King, I Have A Dream Speech, learn about Dr. King’s legacy, Craft Activity Tables, and Story Corner. National Parks are one of America’s must see things to do. Fee free days provide a great opportunity for the whole family to visit a nearby national park. Check out the ones in your local area - NJ, NY, PA.
New Jersey State Museum Commemorative Celebration brings together a diverse group of people to celebrate Dr. King’s life’s work and legacy. Come to the Newark Museum for a Reading of “Letter from Birmingham Jail”, “I Have A Dream” speech, Musical Performance, Scavenger Hunt, Photo Booth and more! Participate in city wide clean up 9AM-12PM. Sign up and lunch at Howard Stainton Senior Center in the Community Center 17th & Simpson. Family activity where you can create works of arts and these will be distributed with meals delivered to those in need. Check out NJ Kids Calendar for more events.